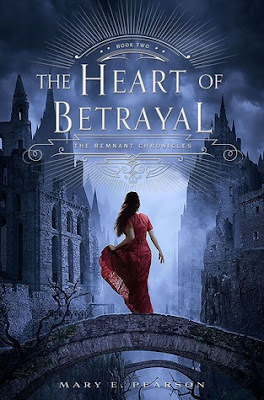 I have been patiently waiting for the release of this wonderful book after reading The Kiss Of Deception (The Remnant Chronicles #1) at the start of the year and if you haven't read the first book yet or this one too for that matter then save this link at come back because I don't wish to spoil it for you. Mary has created this world where it feels so real, almost as though you are apart of it. Lia is a very strong willed and stubborn Character and she has really grown through out this second book. She had many tricks up her sleave learnt from her brothers one of those being card games, I thought it was hilarious when she thrashed Malich at the card game. I have this inkling still that Rafe is hiding something from Lia, he hasn't really been completely straight forward but I can't be too sure, what I am sure about is how much he cares for Lia. Throughout the book he is constantly looking for ways to get her out of the Barbarians territory and escape. I also like that the book is not solely focused on the romance though it does have a little bit but its more about Lia trying to survive and Rafe doing what he can to get them out of Venda. I also like that we get a bit more back story on Kaden and the Komizar and we get to understand Kaden on a deeper level. At first I felt sorry for the Komizar because he was only trying to be a hero but then obviously the power of being the Komizar got to be to much for him and it all went to his head. When you first meet the Komizar he doesn't seem like much but then you see how feared he is by everyone ( I mean come on he killed the last Komizar while he was sleeping... I bit brutal). One thing that completely surprised me was when the Komizar decided Lia was going to marry him and she had no choice, I was not expecting that at all and I was impressed with how Lia handled it because I know that if I were in that situation I would have been freaking out. Overall: I thoroughly enjoyed this second instalment of the remnant chronicles and I highly recommend this series to anyone who loves a good fantasy and is looking for a well adapted story. I absolutely can't wait for the final instalment.